Leeds United attacker Tyler Roberts has caught the eye of former Whites boss Neil Redfearn, who believes he is the perfect build for a central midfield player. 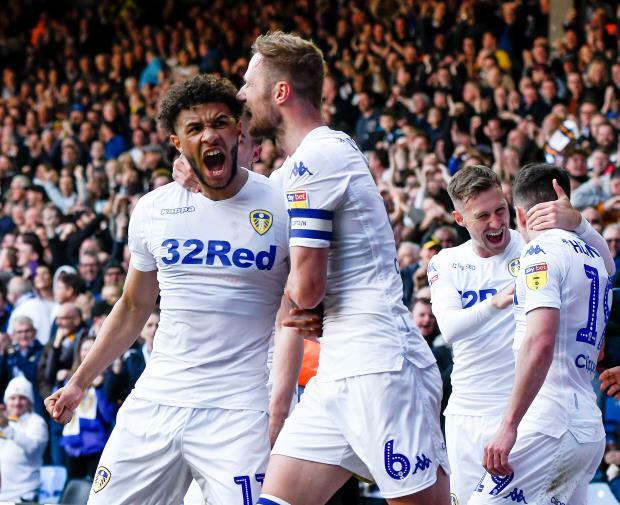 Roberts has nailed down a spot in the Leeds side under head coach Marcelo Bielsa and again turned in an accomplished display on Saturday as the Whites beat Sheffield Wednesday 1-0. The 20-year-old was originally brought to Elland Road from West Brom as a striker, but has been deployed further back at points this season. Redfearn is impressed with Roberts and believes Leeds have a real prospect on their hands in the shape of the Wales international. And he feels Roberts looks perfectly built to operate as a central midfielder for Leeds. "He's got a real dynamic. He is a powerful boy, a good athlete", Redfearn said after the win over Sheffield Wednesday on BBC Radio Leeds. "He is a perfect build for a central midfield player. "He's got a turn of pace, he can get past the front. "His general play, his work rate off the ball, he closes down, he gets his his body in, he's not afraid to put his foot in. "He is a real star for the future", he added. Roberts has made 25 appearances in the Championship for Leeds so far this season, scoring three goals and providing five assists for his team-mates. His deal with Leeds runs until the summer of 2022.